Kitchen Design Trends for 2014 - Black RoK Kitchen Design. In the world of kitchen design trends, what will be hot in 2014? Well, we could try reading the tea leaves in the bottom of our cups, because nobody really knows. But, we can look for clues. Just like in the fashion world, trends in kitchen design are largely set in the media; particularly the vast selection of home-improvement TV shows, especially Channel 4’s Grand Designs. 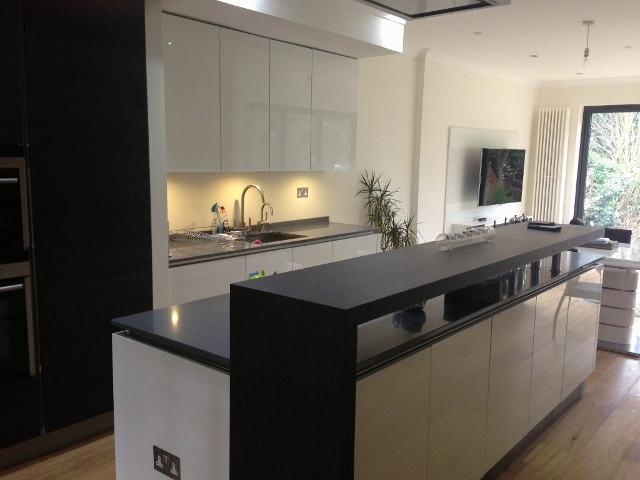 On Grand Designs we’ve seen consistent evidence of the open living space containing the kitchen. Rather than shutting all the kitchen activity away in a separate room, homeowners are literally opening the doors as wide as possible or removing them altogether. And it doesn’t stop at the doors, walls are coming down as the kitchen is becoming the open hub of the house. Perhaps this is why kitchen updates and renovations remain at the top of the list of home improvements. One thing we can certainly confirm is the popularity for the island. No doubt as a direct result of the growing size of the open-plan kitchen/dining area. We can also look across the pond, to our friends in the USA who often lead the way and influence the buying decisions we make over here. A recent survey: the Zillow Digs Home Design Trend Report for 2014 suggested that there will be a move towards black worktops, open or glass-fronted cupboards, and darker colour tones. The survey also echoes the preference for targeting the kitchen when it comes to improving the home. According to lovehome.co.uk, one of the trends for 2014 will be in continental-inspired, black and white. Of course, it can be a risky play to follow the trend, what is ‘in’ right now, could well be very passe while your kitchen is still in its infancy. 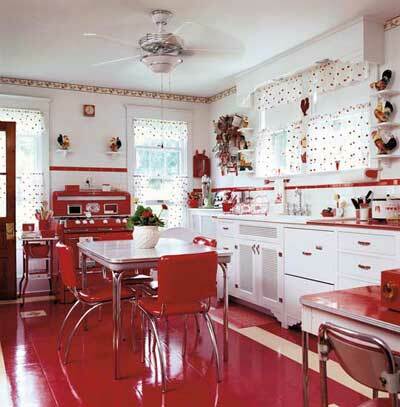 Who can remember the lovely red and white kitchens of the early 80s? What goes around, usually comes around as this lovely example of the 1950’s style illustrates. Some things never date, such as: quality, strong & beautiful aesthetics and practical efficiency. At Black Rok we want you to overwhelmed by your kitchen — not just when it’s brand new, but every time you set foot in it for years to come.